Version 4 of Newfies-Dialer is now in production with a number of our customers. 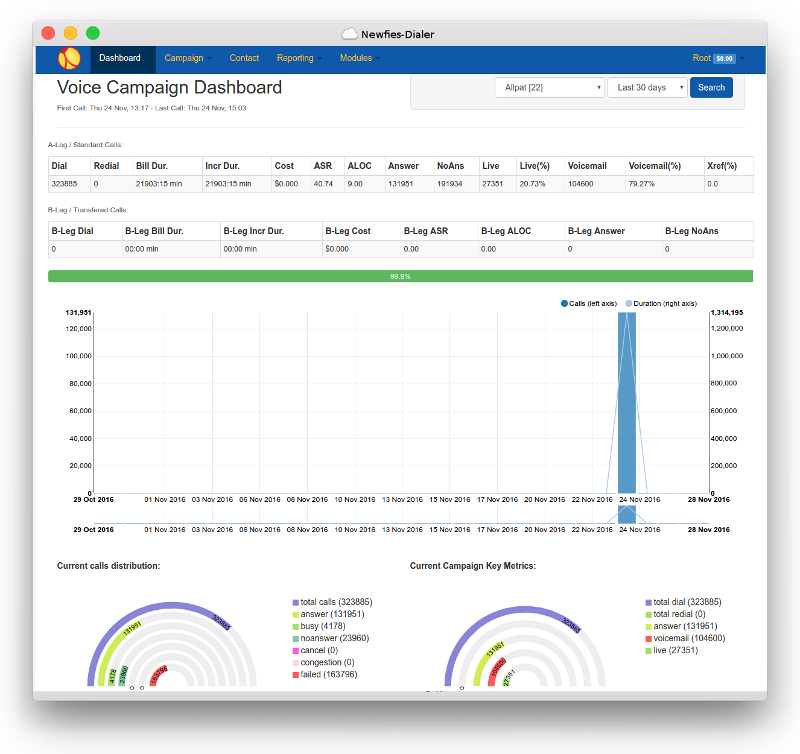 Monitoring has also been improved showing real-time concurrent calls and call transfers for multiple servers, as well as automated alerts so we can quickly provide support. Those who are used to versions 1 and 2 of Newfies-Dialer may be pleasantly surprised at the changes and improvements in Newfies-Dialer in the last 12 months such as billing and time zone support. We’ve made a list of the major changes, click here to find out more. Newfies-Dialer is most cost effective when dispatching millions of calls per week, as you can enjoy the lowest possible call rates from your own VoIP provider compared to all-in-one voice broadcasting providers. if you need a voice broadcasting system for your own use, want to join our network of white labelled resellers or want to provide voice broadcasting services to your customers under your own brand, contact us to discuss your requirements or to set up a live demo.